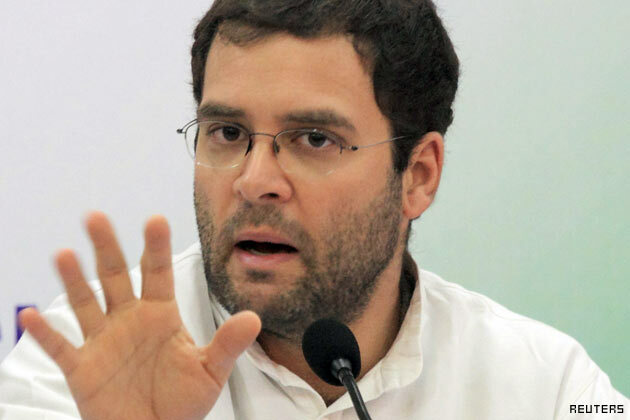 After days of vacillating on it, Rahul Gandhi raises the communal bogey. In a public meeting at Churu, Rajasthan, Rahul came hard on BJP and in a head-on collision course it blamed BJP for inciting communal riots in the country which, he said, ultimately leads to terrorism. Thus, by putting the blame for communal riots and terrorism squarely on the main opposition party in the nation, he has tried to play the communal card with rich political dividend in sight. To paint the BJP in communal colours has been the long-standing strategy of the congress party and it has worked many times in the past. But, Rahul Gandhi, in the run up to the 2014 elections, had been desisting from invoking it so far. Maybe because he understood that by talking of development and issues related to poor and youth he will be able to pull his party through in the coming elections. But, with pre-poll surveys across the spectrum repeatedly projecting the party to get the drubbing in the 2014 elections, desperation has started getting the better of him. Therefore, under the grip of panic, he chose to play the trump card of communalism hoping to polarize the nation along communal fault lines and sweep the windfall of minority votes. But, the strategy is perilous – it carries the risk of communalizing the political discourse of our times. As it goes to ruffle the feathers of the BJP, the latter would certainly have a bone to pick with the Congress on this sensitive accusation. Though, the BJP of course is a party which has blotted its copybook by the demolition of the disputed Babri Masjid in Ayodhya and by many other actions that casts it in communal mould, it certainly would like to question the credentials of the congress in the communal-secular debate. So far the BJP’s prime ministerial nominee, Narendra Modi treaded a cautious path by skirting the issue of communalism and he talked about positive issues like strengthening the bureaucratic-administrative functioning to lead development, economic growth and changes; he talked of creating structures for sustaining equitable growth that promised the fruit of development to the urban and rural societies alike. He talked about the issues of the middle class and the youth and tried to reach out to the Minorities promising them development and growth which had eluded them so far. He took the issues of corruption, nepotism and crony capitalism that has bled India in the past decades and promised a clean and efficient administration on the lines of his home state Gujarat where he’s been ruling since 2001. It connected him instantly with the middle class, the youth, the poors and to some extent, even with minorities. He talked tough and assured that he meant business. The resurgent, restless India lauded him and the crowds cheered him with frenzied applause wherever he went. Over the time, his personality took the status of cult among his followers. This gave sleepless nights to Congress strategists who have always sought upmanship in the personality-centric politics of India. In this tug of war, Rahul Gandhi found his grip slipping and this made him desperate. 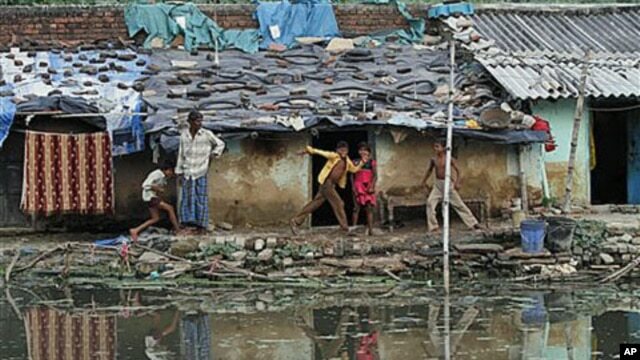 He has overexploited his welfare-oriented policies like Food Security Bill and MANREGA but finds the prospects of these policies returning votes very dismal. He knows he has nothing to talk on the development plank as each policy of his government is blotted by a scarier scam. Thus, the congress think-tank went overdrive to cut the BJP to size by playing the communal card. By slinging the mud of communalism on BJP they hope some of it would stick with them. Thus, they have chosen to strike the BJP where it hurts most. But, by playing the communal card Rahul Gandhi runs the risk of exposing his own party’s records to closer scrutiny. The congress has many questions to answer on the front of secularism. One would be tempted to ask about Congress party’s support to organizations like Muslim League, Jamaat-e-Islami and SIMI and about its track records in various communal riots like that of Bhagalpur, anti-sikh riots of 1984 and the recent Assam riots. One would like to highlight the communal agenda of the party by upturning the SC judgement on Shah Bano in 1987, by standing behind the terrorist encounter of Batla House, by its plan to give the Muslims reservations in government jobs, by its recent administrative instructions to state governments to not arrest the members of minority community in matters of terrorist investigations and by its proposed legislations like the Communal violence bill where it shamelessly attempts to put criminality on the majority community in a riot situation and subjecting the members of the majority community to harsher criminal procedures for the same crime. The history of the Congress party in the post-independence India is a chronology of facts how the party has fomented, nourished and sustained communalism by exploiting the communal fault-line to its own political advantages. Rahul Gandhi would find himself on a sticky wicket if he is invited to talk on communalism in India and the role of political parties in it. Maybe, partially because of his banal oratorical skills, he would never be ready for such a public trial. Thus, he sees virtue in making ambushes from the sidelines. Thus, short of ideas on development and change and with an aim to deflect attention from issues of corruption, price rise, unemployment and misgovernance, Rahul Gandhi pushes communal agenda to the fore. But, in the process, the positive discourse of the 2014 elections runs the risk of being hijacked by the chancy talks of hate. Will the BJP Dump Narendra Modi after the Elections Lead to a Hung Parliament? The latest round of Times Now – C voters pre-election survey for the 2014 Loksabha polls comes up with a widely-perceived conclusion that no pre-poll formation is going to have a majority in the parliament. This survey brings forth three main conclusions: First, the ruling UPA alliance doesn’t have the ghost of a chance to come back to power in 2014; second, the main opposition NDA led by the BJP has made significant gains following declaration of Narendra Modi as the alliance’s Prime Ministerial nominee but there is no wave in his favour yet; third, the remaining other parties who are projected to share 240 seats among them are going to be the key players in forming the next government. Out of the three broad conclusions, we’ll focus on the one concerning with the NDA. The latest survey that puts NDA’s figure to 186 has projected the BJP getting 162 seats in the pan-India tally. This is a significant rise over the past few months since the time Narendra Modi has been anointed to lead the NDA should it came to power. The projections show that the NDA shall fall well short of the half way mark. That’s true in the present context but we’ve to respect the dimension of time; the elections are still 6 months away which is a long period in politics. Reputation has its own dynamics that builds up its own momentum in politics hence an astute politician vies for reputation that earns him goodwill and vote. 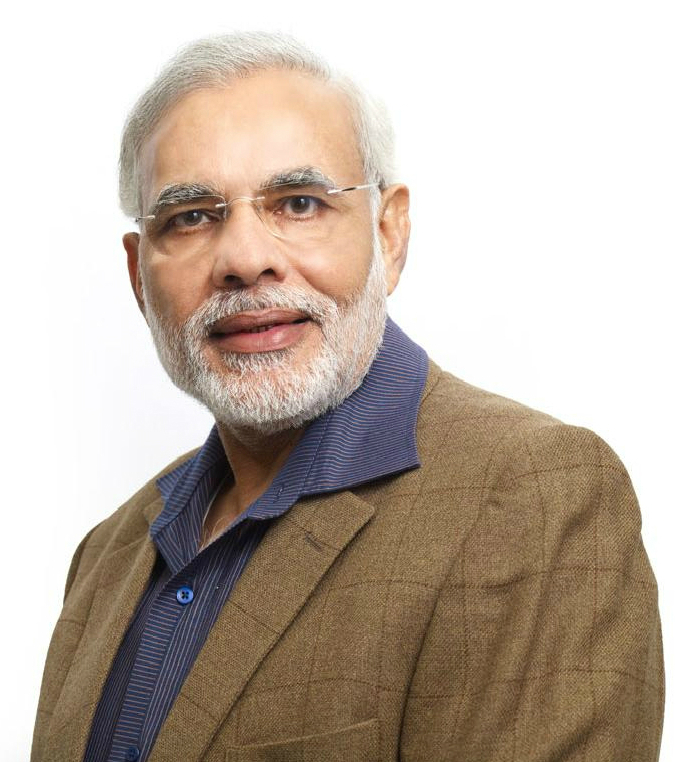 Over the years Narendra Modi has earned the reputation of being a formidable leader who is blessed with tremendous political and administrative acumen and his fame is gathering greater momentum with each passing day. After winning three assembly elections hands down in Gujrat, Narendra Modi was seen geared up for larger role at national level. Hence, it didn’t surprise anyone when Modi, in teeth of all opposition, was chosen to lead the BJP in the 2014 Lok Sabha elections. After months of churning, the central leadership of BJP understood it well that he was the only leader who carried pan-India Appeal and who could brighten the prospects of BJP in the hustings. He’s seen as a man whose appeal cuts across the boundaries of caste, class and regions and is venerated as someone who is strong, decisive and focused at his assignment. The young India adores him and the restless Indian masses, battered by corruption, inflation and misgovernance look up to him for panacea. The crowds throng in his meetings and people hang on his lips when he counts the sins of the government. As the burly demagogue rises to lash out at the misdeeds of the government the craving masses roar with approval and every time he cuts his stingy one-liners the crowd goes berserk. He’s the adorned deity in the art of oratory and his critics term him a rabble-rouser. But, he knows the art and science of connecting to the masses; he feels their pulse and speaks their language and thus he makes the maudlin masses of India fall for him. That’s why even his worst critics admit that he is the best bet for the BJP in the coming elections. It’s being bandied about in some quarters that after the elections if NDA emerges the single largest formation looking short of a majority, the BJP would drop Narendra Modi in favour of a less controversial candidate who could be more acceptable to its potential allies so that NDA government could be formed. Well, apparently, it may look a workable solution should the NDA hoped to come to the powers. But, nothing can be more misleading and farther from truth than a hypothesis like this. It’s a calculated ploy by the Modi detractors and a malicious attempt to confound the voters of the BJP. Why the NDA can’t drop Narendra Modi for the sake of forming a government is simple – this election, either from the side of UPA or NDA, is going to be a personality based election in which the personality and the aura of the person leading his alliance would be the determining factor. People would vote the BJP formation because of the sheer persona of Modi. After all, after suffering a decade of malgovernance and incompetence people are looking for a strong leader who could be bold, decisive and efficient. 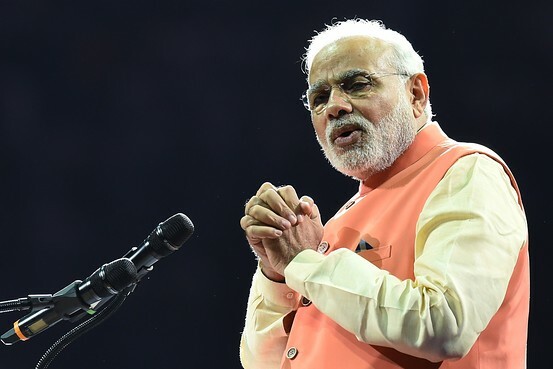 Narendra Modi is looked up as a leader who is believed to possess all these attributes and much more. His voters take him to be a wizard who has many cards up his sleeves to take on the myriads of the problems that plague India. That’s why NDA can’t replace Modi even if it wished to do so. Secondly, it will be the greatest betrayal of the popular mandate and any government formed so would be illegal and ethically non-sustainable. The votaries of NDA who cast their vote for the alliance for the sake of Modi would stand cheated and would never forgive the arrangement. Thirdly, even if such a government is formed it will live under the constant shadow of Narendra Modi. The government would be judged from the yardsticks of Modi’s functionality and its failures would become more glaring and apparent. It will become akin to raising Modi’s stature even higher among the masses. Thus dropping Modi would be nothing lesser than a political hara-kiri for the BJP which will suffer a deficit of credibility for years to come. That’s why the BJP would never afford to drop Narendra Modi irrespective of how tempting the supposition might look from the vantage point of realpolitik. Last but not the least, if Narendra Modi is able to pull off a sort of coup by plundering 200-something seats for the NDA, he’ll become taller than the tallest leader in the BJP and in the scenario no central leader will have the guts to ruffle his feathers by hinting the idea of a change of leadership.